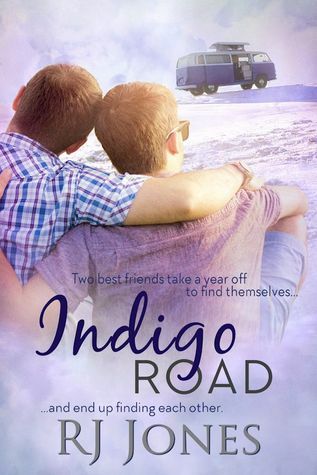 R.J. Jones’ early December release of Indigo Road was a very well written road trip story of two friends who find more than just a year without snow on their quest to see the country (and avoid snow for a winter). A part of me did wish that the story had been told from both character’s points of views, if only because I would have loved to know what Alex was thinking and feeling throughout the journey. The journey seemed to be more about deepening the connection between one another, than really seeing the country or learning the history of the places they passed through of the things they saw. There were several good moments of angst throughout the story, and they certainly had a few instances of drama as well, with a good twist near the end, to sort of bring their road trip to an end but launch them forward towards their future. I loved the idea of their plan to take a year off and drive cross country in their van after graduating college, it was nice to see that they weren’t trying to rush into the job market but instead, were trying to gain a deeper understanding of the direction they wished for their lives to take. I loved as well that they talked about having a plan for what to do when they started getting on one another’s nerves, showing a maturity and understanding of what proximity could do to a relationship. They had a very solid friendship to build on, and good family support to, for their road trip, which I really felt helped them to feel comfortable about the idea of not seeing home for a year. If I had to ask for anything else I would have wished to see added to the story, it would have been to see more dialogue between them about their plans, thoughts, ideas for the future while they were on the road. Overall though, a really good four star read.